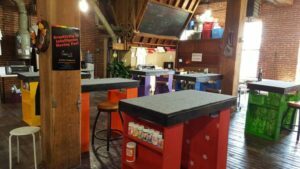 Last weekend to register for the Diva Feeva Brunch & Paint Fundraiser! This fundraiser session will let you create a Hot Mess painting of your choice, eat some yummy food, maybe drink a mimosa (or three), and also help raise funds for the KC Diva Spring Feeva this coming May.  Brunch, mimosas, and 1 raffle ticket for an Innova disc golf bag and other cool goodies inside! We’ll be drawing for the raffle prize winner at this event. 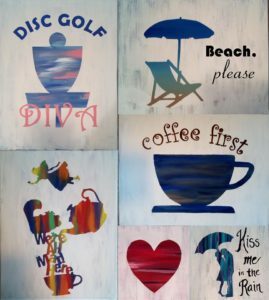 Terese Babcock of Eseret Art, will be leading the art project where you will create your own one-of-a-kind Hot Mess masterpiece from a selection of stencils. Hot mess is a form of painting that involves a funky background, a white distress layer, then an optional overlay of text. We’ll all use the same techniques but you get your choice of these designs (and others) and the colors you’ll use for it. Here are some examples of the “HOT MESS” paintings you can select from when you register. If you want to do a more free paint, you’re more than welcome to do that as well. We all just want to be creative, have fun, and raise some funds for the Divas!